Featuring Joey Molland of Badfinger! Los Angeles – For the last thirty-five years, The RAZ Band has been recording and performing their own brand of original songs, entertaining audiences across the US and globally. On March 30, 2019 Gonzo Multimedia will release the much anticipated new RAZ Band studio album “#9”. Produced by Badfinger legend Joey Molland, “#9” features eleven new RAZ Band songs. The first 1000 copies include a limited edition live EP, recorded in Los Angeles on December 8, 2018. This past December 2018 The RAZ Band recorded their first live album performing songs from the upcoming “#9” album as well as their most recent albums “Madison Park” (2015 Roadie Crew magazine album of the year) & “The Best of RAZ 1984-2015”. The live performance will be included as a bonus disc with the release of their new studio album “#9”. Featuring tremendous production by band member Joey Molland, The RAZ Band is looking forward to sharing “#9” with the world. The RAZ Band members are Michael ‘Raz’ Rescigno on guitar & vocals, Jeff ‘Hutch’ Hutchinson on drums & vocals, Jim Manzo on bass & vocals, and Joey Molland on guitar vocals & production. In November of 2015 Gonzo Multimedia released The RAZ Band’s award-winning album “Madison Park”. Madison Park won the 2015 Album of the year award by Roadie Crew magazine editor Airton Diniz. In May of 2016 Gonzo released “The Best of RAZ 1984-2015”; both albums received rave reviews around the world. The RAZ Band has opened for Badfinger, Missing Persons, Berlin, Marky Ramone, Bill Ward, Iron Butterfly and others. In 2019 The RAZ Band will be performing in the United States as well as abroad. Tour dates are being booked. Ed Cassidy (Spirit), Buddy Miles & Billy Cox (Jimi Hendrix Band of Gypsies), Barry Goldberg (Electric Flag), Harvey the Snake Mandel (Canned Heat), Steve Gunner, Mark Healy, Randy Anderson, Joe Vitale Jr., & Gordon Copley. London, UK – On the heels of his critically acclaimed new solo album ‘Return To Memphis’, Bandfinger legend Joey Molland has released two hard to find, sought after albums on UK’s Gonzo Multimedia – ‘Demos Old And New’ and ‘This Way Up’! Signed to the Beatles’ Apple label in 1968 as The Iveys, the band quickly changed their name to Badfinger by 1969. The group would go on to score four consecutive worldwide hits from 1970 to 1972: “Come And Get It” (written and produced by Paul McCartney), “No Matter What”, “Day After Day” and “Baby Blue”. In 1971, a cover of the Badfinger song “Without You” by Harry Nilsson became a number one hit on the Billboard charts. Though the band suffered major tragedies throughout its career, surviving member Joey Molland has continued to keep the Badfinger flame alight through concerts and recordings over the past 30 years. And now he is back with a fantastic new album ‘Return To Memphis’, which was produced by Carl ‘Blue’ Wise and recorded at Willie Mitchell’s Royal Studios in Memphis. 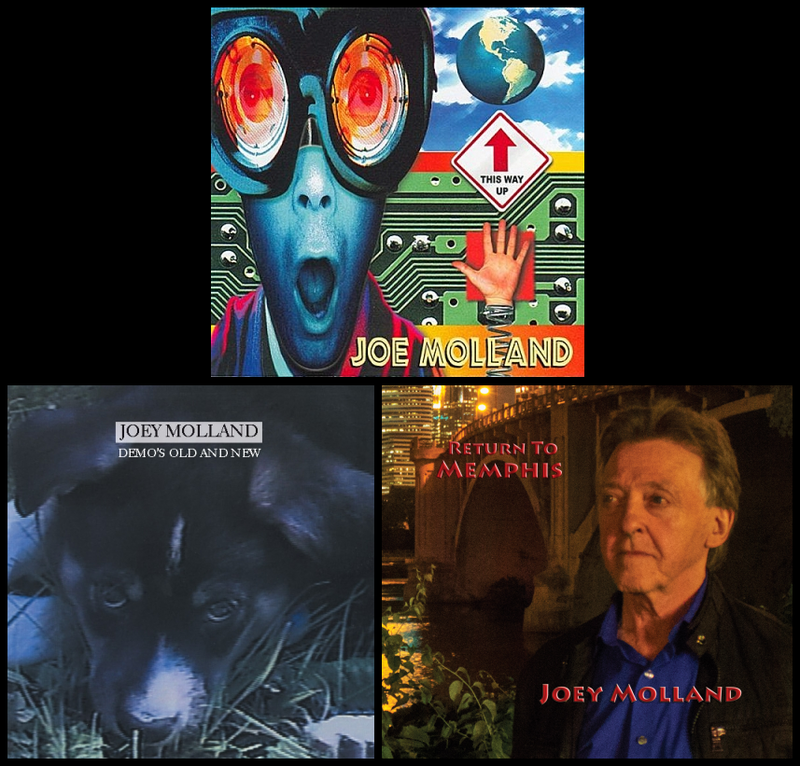 This collection of demos from various parts of his long career only proves to confirm what an extraordinary songwriter Joey Molland is. Joey’s latest CD ‘Return To Memphis’ has been garnering major press worldwide and follows the major buzz surrounding the Badfinger track “Baby Blue” being played during the finale of A&E’s hit TV series ‘Breaking Bad’. After an album and successful tours with his new band, Natural Gas, Joey reconnected with bassist Tom Evans in 1979 for a couple of albums under the Badfinger banner (AIRWAVES and the hugely under-rated SAY NO MORE). That relationship fell apart, leading to both musicians touring their own versions of Badfinger. Evans, unable to shake the lingering effects of the gross mismanagement of the band’s early ’70s career, hung himself in September 1983. 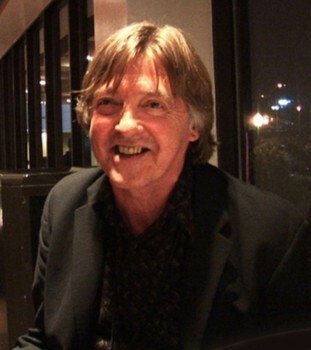 Drummer Mike Gibbins died in October, 2005, leaving Molland as the only surviving member of the once promising Badfinger. 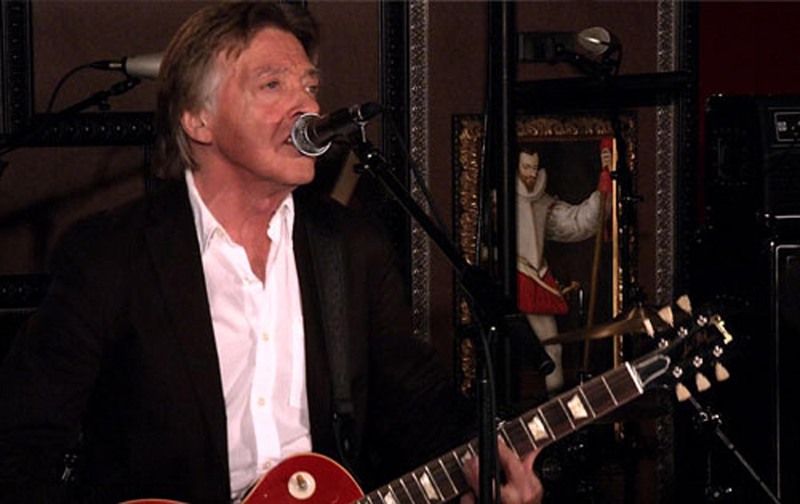 Though he still tours with a version of the band, called Joey Molland’s Badfinger, his recorded output since 1981′s SAY NO MORE have been released under his own name. The Molland discography is short: Before the release of RETURN TO MEMPHIS, Joey released his debut solo outing, AFTER THE PEARL, in 1983 with THE PILGRIM following hot on the heels… in 1993. THIS WAY UP, released in 2001, has been called “one of the best solo discs that ex-members of the Beatles never made.” An album of demos called BASIL was offered on Joey’s web-site in 1999. For the rest of the bio and the interview, please visit the Zachary Mule website! 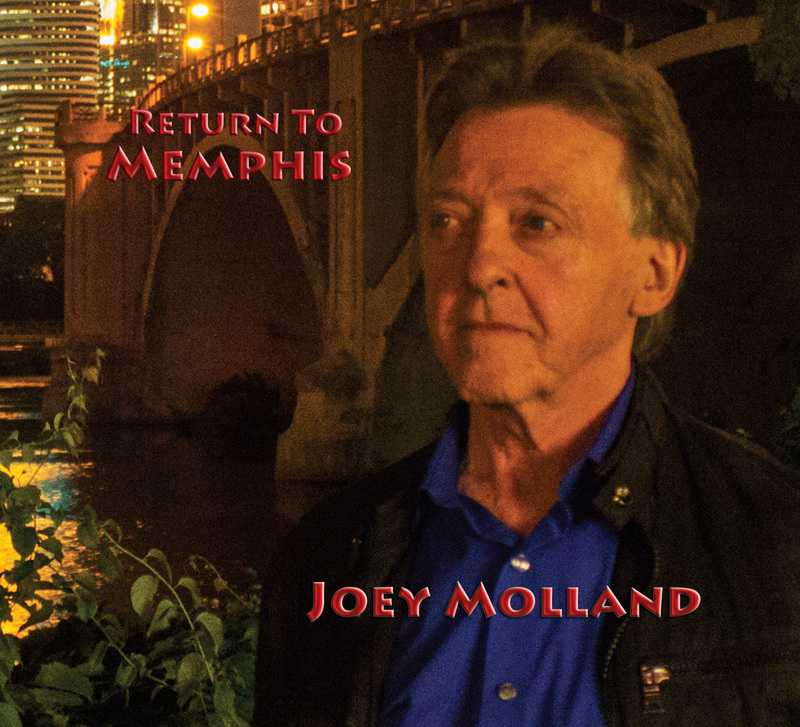 HOLLYWOOD—Joey Molland, best known for his work with the legendary English band Badfinger, has released his fourth solo album “Return To Memphis” on UK’s Gonzo Multimedia! The CD features 10 new tracks the singer-songwriter recorded at the world famous Royal Studios in Memphis. Signed to the Beatles’ Apple label in the late ’60s, Badfinger went on to score four consecutive worldwide hits from 1970 to 1972: “Come And Get It” (written and produced by Paul McCartney), “No Matter What,” “Day After Day” and “Baby Blue,” which recently became top downloaded song when it was used in the final scene of the finale of AMC’s “Breaking Bad.” The song’s resurgence has put Molland, the last surviving member of the Badfinger, back in the spotlight. Other acts have scored success with Badfinger songs over the years. In 1971, a cover of the Badfinger song “Without You” by Harry Nilsson, became a number one hit on the Billboard charts. Molland, now 66, widowed and living in Minnesota, has continued to keep the Badfinger flame alight through concerts and recordings over the past 30 years. “Return To Memphis,” a mix of rock, blues, country and progressive rock was produced by Carl “Blue” Wise. For the rest of the article and the interview, please visit the Front Row Features website! London, UK – Much to the excitement of music fans worldwide, Joey Molland, best known for his work with the now legendary English band Badfinger, will be releasing his highly anticipated 4th solo album ‘Return To Memphis’ on December 2, 2013 on UK’s Gonzo Multimedia! The new CD features 10 new Molland compositions recorded at the world famous ‘Royal Studios’ in Memphis. Signed to the Beatles’ Apple label in the late ’60s, Badfinger would go on to score four consecutive worldwide hits from 1970 to 1972: “Come And Get It” (written and produced by Paul McCartney), “No Matter What”, “Day After Day” and “Baby Blue”. In 1971, a cover of the Badfinger song “Without You” by Harry Nilsson became a number on hit on the Billboard charts. 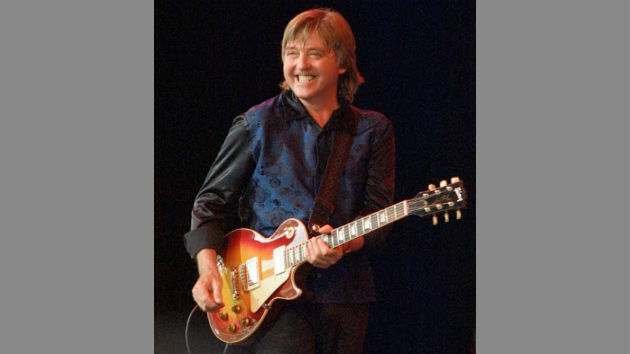 Surviving member Joey Molland has continued to keep the Badfinger flame alight through concerts and recordings over the past 30 years. And now he is back with a fantastic new album ‘Return To Memphis’, which was produced by Carl ‘Blue’ Wise. Joey’s new CD comes hot on the heels of the major buzz surrounding the Badfinger track “Baby Blue” being played during the finale of A&E’s hit TV series ‘Breaking Bad’. The song became the number one download in the world the week of the final episode! Badfinger is enjoying a sudden resurgence in popularity thanks to the final episode of the massively popular TV series Breaking Bad, which featured the veteran power-pop group’s 1972 hit “Baby Blue” in its very last scene. The song reportedly sold close to 5,000 digital copies on Sunday, when the Breaking Bad finale aired, catapulting the tune to the top of the iTunes Store’s Top Rock Songs chart. All this came as a big surprise to the sole surviving member of Badfinger’s classic lineup, guitarist Joey Molland, who tells ABC News Radio he had no idea that “Baby Blue” was going to appear in the now historic episode. For the rest of the article, please visit the ABC News Radio website! In 1969, British rock band Badfinger and Apple Records launched what should have become … one of the most successful unions in rock history. THE IVEYS (Pete Ham, Tom Evans, Ron Griffiths and Mike Gibbins) signed onto The Beatles label (Apple Records) in 1968. The following year, longtime Beatles road manager and compatriot Neil Aspinall, suggested the band change their name to Badfinger. Paul McCartney generously presented one of his unreleased compositions to the band under his strict supervision. The song entitled, “Come and Get It” would be spotlighted in a motion picture called The Magic Christian starring Peter Sellers and Ringo Starr. In 1970, “Come and Get It” became a hit single for Badfinger peaking at #7 on Billboard’s Hot 100 Chart and selling over a million copies. After the release of “Come and Get It,” bassist Ron Griffiths left the band. Badfinger replaced Griffiths with guitarist Joey Molland while moving singer/songwriter Tom Evans to bass guitar. For the rest of the biography and the interview, please visit Examiner.com!